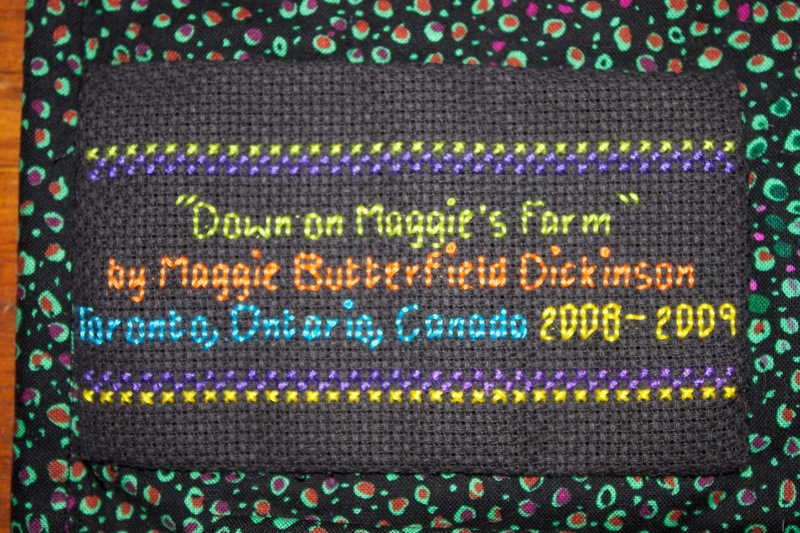 “Down on Maggie’s Farm”, 33″ x 32″ (84 cm x 81 cm). 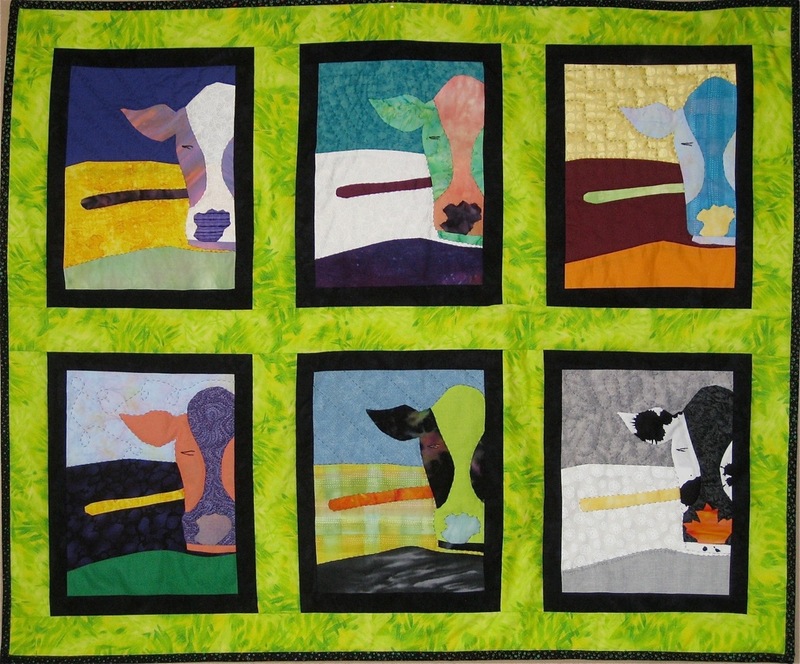 Pieced and quilted by hand on cotton fabric. 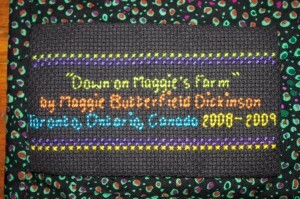 4 3/4″ x 2 3/4″ (12 cm x 7 cm), Cross-stitched on Aida canvas.